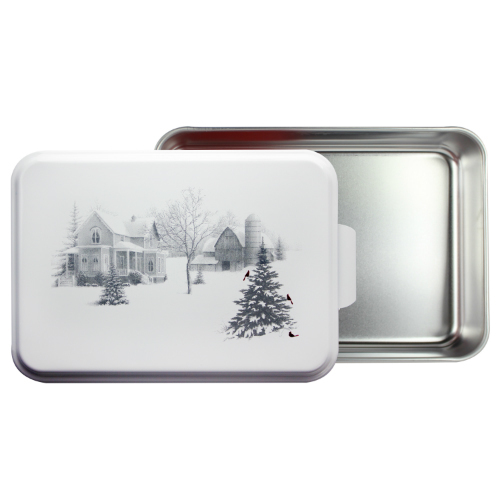 The Nesco NCP-F-8 is a cake pan with a beautiful Winter scenary design on the lid. With its elegant look and design the pan can well suit your kitchen when pan not in use.The lid is domed with a high gloss enamel finish and is made with aluminum. This cake pan can also be a great idea for gifting. The Nesco Winter Scene Cake Pan Six Pack has many exciting features for users of all types. 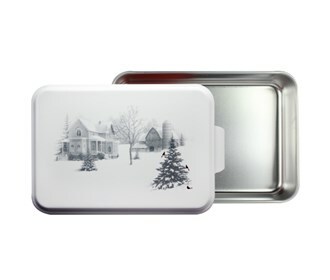 The Nesco Winter Scene Cake Pan Six Pack is sold as a Brand New Unopened Item.